An abundance of native Southern Arizona wildlife can be seen in the park. Bobcat, coatimundi, coues whitetail deer, javelina, coyote and a large variety of birds, reptiles and other mammals are available for the pleasure of park visitors. A hike through any of the park trails will lead visitors into prime southern Arizona habitat. Hike slowly and pay attention to the sights and sounds around you, a surprise encounter with one of the park residents could be in your immediate future at any time. Please keep in mind that all animals encountered here are wild. They require space to feel comfortable, so we ask that visitors refrain from getting to close, or from feeding them. Above all, please enjoy these native Arizona treasures during your time at Patagonia Lake State Park. Learn where to view Arizona's diverse wildlife species throughout your state park system on the Arizona Wildlife page. Bobcats are very plentiful throughout Arizona and although mostly nocturnal, they are still seen somewhat regularly in and around the park. These southern Arizona bobcats are drawn here because of the burgeoning rodent population of numerous species within the park. The food chain here is right where it needs to be, and the Patagonia Lake State Park bobcats do a great job of keeping the small mammal and bird populations in check. As generally territorial and solitary creatures, bobcats are usually encountered alone in the park although females with kittens are occasionally seen. Color variants may range from grey to reddish hues and their beautiful spotted markings work as exceptional camouflage. 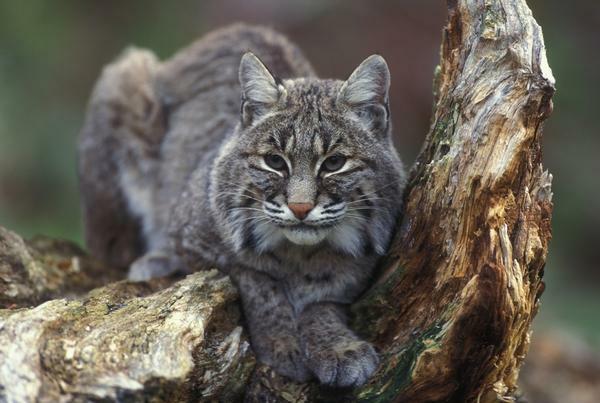 Bobcats are secretive in nature and usually avoid humans if possible, therefore a chance encounter while visiting the park is a special memory that will be cherished forever. Coatimundi’s, or coati, are one of the more unique and interesting animal species that Arizona has to offer, and the Patagonia Lake State Park area is a great place to see them! As a very social creature, young coatis are often found traveling in “troops” with females as they search for food items such as insects, small reptiles, roots, fruits and nuts. The males lead a more solitary life and seek out troops of females in early spring to procreate. Coatis travel with their tails standing straight up so a troop is relatively easy to spot as they maneuver through the high desert. 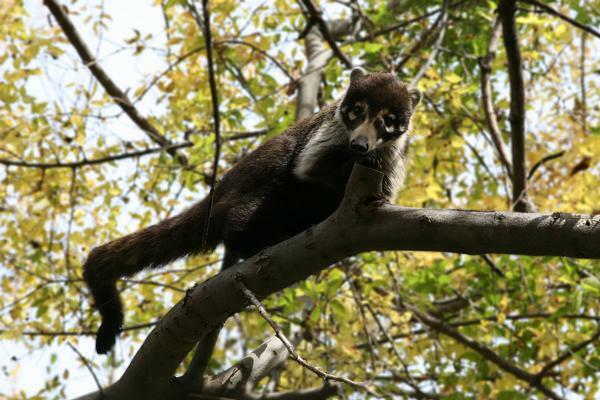 Their social communication consiste of a series of chattering and squealing sounds which helps park visitors identify coati whereabouts for closer inspection. As diurnal creatures, Arizona’s coatis are active during the daylight hours which gives park visitors a better chance of enjoying an encounter. At night coatis retreat to the trees where those long tails comes in handy to help keep their balance. 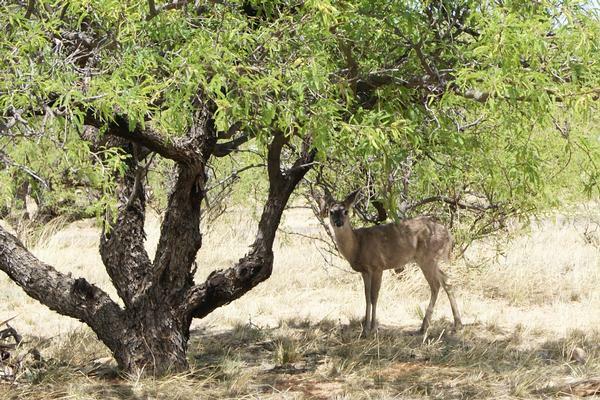 Southern Arizona contains the nation’s epicenter of Coues whitetail deer habitat. High concentrations of these diminutive cousins to the whitetail are found here and give visitors of Patagonia Lake State Park a high likelihood of an encounter. Coues whitetail are active throughout the day and often travel to water between 11:00 a.m. and 2:00 p.m. before feeding throughout the rest of the evening. Look for movement through the vegetation, or for deer feeding on open hillsides feeding on area browse. There are two distinct timeframes throughout the year that give visitors the best chance of seeing these beautiful “grey ghosts” of the desert. During summer when does are raising fawns, and when bucks are growing their antlers, the deer remain in relatively open country and generally display a relaxed demeanor. Conversely, during the rut (breeding season) the bucks seek out does in a frenzy to breed and fight off their competition. 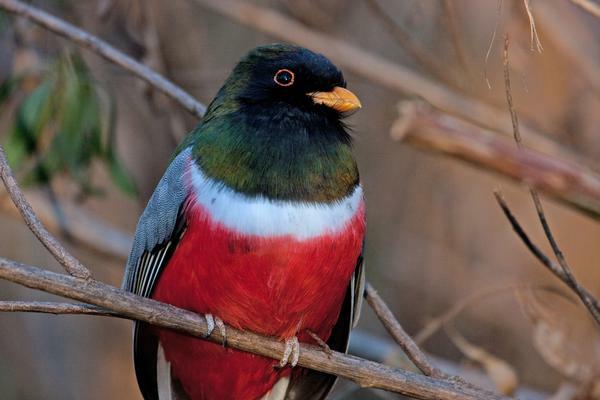 Explore the wonderful world of birds that live around Patagonia Lake! From turkey vultures to tanagers, Patagonia Lake sports a wide variety of bird species waiting to be rediscovered. So bring your binoculars, bird books, sturdy hiking shoes, and plenty of water to enjoy your southern Arizona birding adventure! Bird walks take place Friday and Monday mornings at 9:00 a.m. Participants meet at the head of the birding trail near site 12. Download a list of birds recently spotted in Patagonia Lake State Park and Sonoita Creek State Natural Area.